Ideal for the dj or musician who values their time. After removing the top panel a 10 or 12 space rack can be moved to any of 8 different stops from zero to 45?. Removing the front panel allows the use of 6 or 10 spaces of equipment. Remove the rear cover and there is easy access for connecting cables. 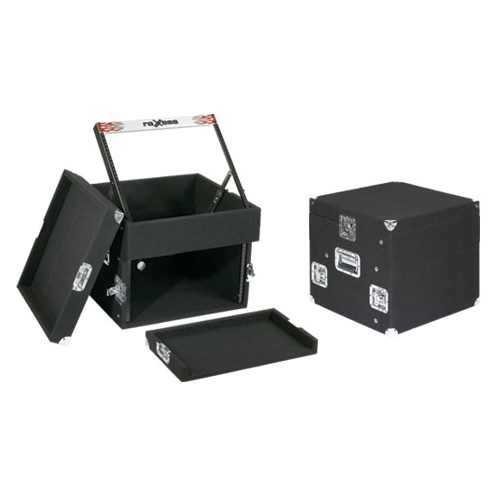 The Converta rack is constructed with 1/2" plywood with black carpet covering, recessed spring loaded handles and latches. Casters are standard with CR-10/10 and CR-12/10. Optional caster base available for CR-10/6.